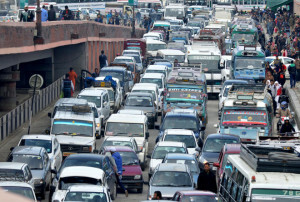 There is no end to traffic congestion on Srinagar roads even as the Durbar offices have shifted to winter capital Jammu. With the winter season having already set in, commuters are finding it more difficult negotiate long jams in the evening hours. 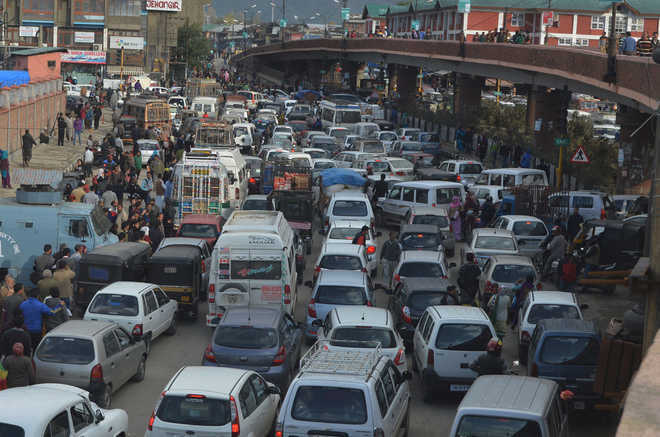 Srinagar residents are fed up with routine traffic jams, particularly during the evening and morning hours, as they get stuck for hours in congestion. They blamed the absence of traffic police on important intersections for the existing mess. 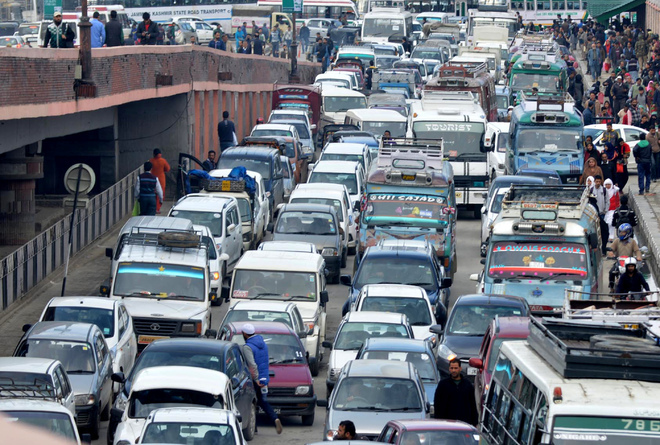 “Traffic jams on Srinagar roads have worsened. In the evening, it takes more than an hour to cross the Jawahar Nagar-Natipora stretch, a distance o f just five minutes. There are no policemen to manage the traffic,” said Ali Khan, a resident. Due to construction of flyover from Rambagh to Jahangir Chowk traffic is being diverted from Jawahar Nagar which adds to the burden on alternative routes, making it difficult for the commuters. 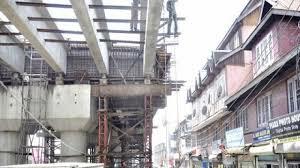 “In any state, before the construction of a flyover the government makes arrangements for alternative routes that can manage such huge rush of traffic. 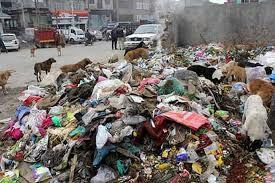 But here, nothing is planned making common people suffer,” said Javaid Ahmad, a local. The problem is aggravated due to the alleged lack of traffic officials. Against the actual requirement of 1,250 police personnel for traffic management, the Srinagar Traffic Department has got just 270 policemen deployed in various parts of the city. “We have acute shortage of manpower, but we are trying our best to streamline traffic. Whenever we get any complaint, we act immediately,” said a senior official of the Traffic Department. The department has already proposed for extra manpower, but the government is yet to initiate a process in this regard. The Durbar Move to the winter capital has further reduced the manpower in the Traffic Department. “Around 40 policemen were part of the Durbar Move to Jammu so our strength has reduced further. It is difficult to manage traffic in such a situation, but we are still trying our best. People should also cooperate. They should not park their cars on roads,” said the official. Jehangir Chowk, Budshah Chowk, Residency Road, Regal Chowk, Tourist Reception Centre, Polo View, Rambagh Bridge, Jawahar Nagar, Mehjoor Bridge, Batamaloo and Qamarwari are the worst hit.